Royalpicks offer Self drive cars for rent in Coimbatore. Royalpicks provide the flexible car tariff to make your journey as enjoyable one. Royalpicks offer the self drive Car SWIFT DZIRE for Rent per hour: Rs 150/-, 12 hours: Rs 1200/-, 24 hours: Rs 1750/-. Self drive car rental in Coimbatore. Swift Dzire Both petrol and diesel have good acceleration. Royalpicks self drive car always have the option to you to choose from two types of an engine with Swift Dzire. This sedan comes with 1.3-liter 74bhp 16V DDiS Diesel Engine which is very popular and commonly used in cars like Maruti Swift and Maruti Ritz. 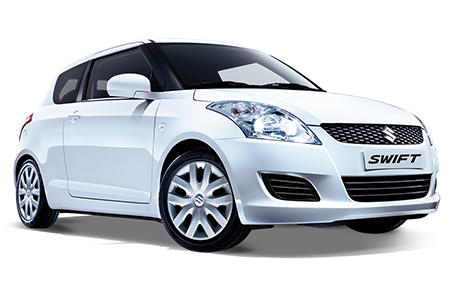 We offer the Swift Dzire on both automatic and manual self drive car services. Powering the SWIFT DZIRE are two engines – a 1,197cc K-Series petrol engine and a 1,248cc diesel unit. The petrol generates 83 hp of power at 6,000 rpm and 115 Nm of torque at 4,000 rpm, while the diesel produces 74 hp at 4,000 rpm and 190Nm at 2,000 rpm. Both engines offer decent performance and good fuel-efficiency considering the 965 kg kerb weight of the petrol version and 1,070 kg kerb weight of the diesel version. Royalpicks self drive car in Coimbatore offer the flexible tariff on both automatic and manual self-drive car service. Royalpicks self drive car is the best self drive can rental in Coimbatore. Certified mileage of the SWIFT DZIRE is 20.85 km/l for the manual petrol, 18.5 km/l for the petrol automatic, 26.59 km/l for the diesel manual variants and an impressive 26.59 km/l for the diesel automatic. Considering the segment standards, these fuel-efficiency figures are impressive. Royalpicks self drive car in Coimbatore offer the flexible tariff on both automatic and manual self-drive car rental service. The SWIFT DZIRE is a compact sedan based on the Swift’s platform. The front and the sides are the same as the hatchback sibling, with the boot being the key differentiator. Measuring at 3,995 mm in length, the sub-4 metre sedan avails excise benefits. It is 1,695 mm wide and 1,555 mm tall. Maximum kerb weight of the SWIFT DZIRE is 965 kg for the petrol variant and 1,070 kg for the diesel. Overall, the exteriors are contemporary with a hint of chrome and with a ground clearance of 170 mm, getting in and out of this compact sedan is easy. Royalpicks self drive car is in the top position for providing the self drive car rental in Coimbatore. We provide the complete support till end of your self drive car ride. 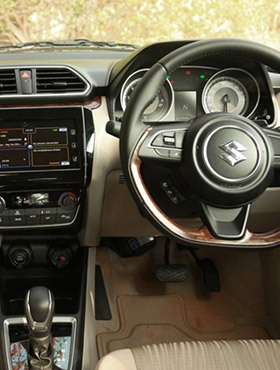 On the inside, the SWIFT DZIRE has a combination of black and beige – the dashboard being in a dual tone and the seats as well as door panels in beige. Silver accents on the centre AC vents and the three-spoke steering wheel give the interior a more upmarket feel. A keyless push button start/stop button, 2-DIN integrated stereo with Bluetooth connectivity and steering mounted controls and automatic climate control all add to the convenience. 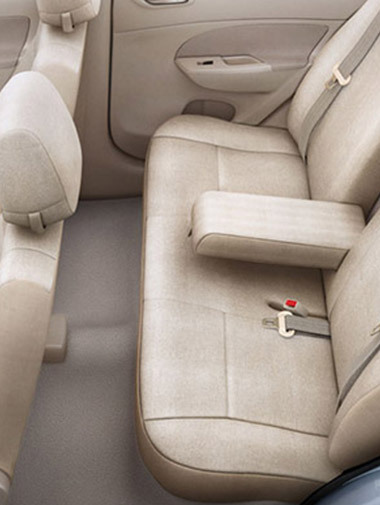 Although, the rear is cramped for adults the SWIFT DZIRE is a practical car for a small family. Royalpicks self drive car rental offer the flexible tariff on both automatic and manual self-drive car rent service. You can choose your flexible self drive car rental package with us and enjoy your ride with your family and friends. Royalpicks are in the top position for providing the self drive car rental in Coimbatore. We always give them more freedom to select your favourite self drive car rental in Coimbatore. You can choose your flexible self drive car rental package with us and enjoy your ride with your family and friends. Royalpicks provide the self drive car for a wedding, outstation, tours, trip etc. Royalpicks offer the self drive car rental in Coimbatore wherever you go. We provide more choice to hire self drive car rentals in Coimbatore for our customer satisfaction. We have more than 5 years of experience in this field. Royalpicks assist the self drive car rental services in major cities i.e., Coimbatore, Trichy, Madurai, Theni, Kodaikanal, Ooty and Munnar.